Barista standing near coffee maker. 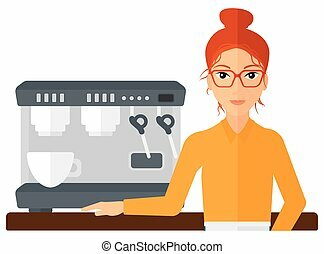 A woman standing near coffee maker on the background of bakery vector flat design illustration. horizontal layout. 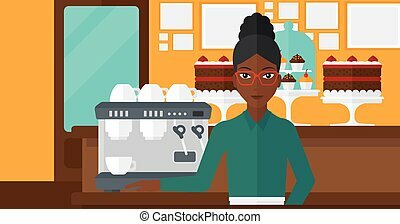 Barista Standing Near Coffee Maker. 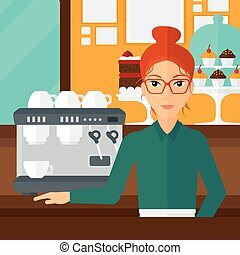 A woman standing near coffee maker on the background of bakery vector flat design illustration. Horizontal layout. 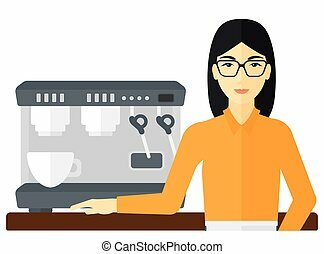 A barista standing near coffee maker vector flat design illustration isolated on white background. 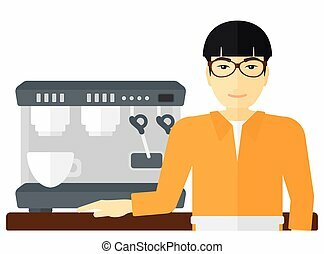 An asian barista standing near coffee maker vector flat design illustration isolated on white background. 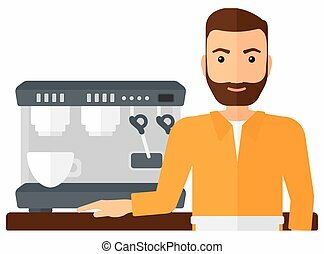 A barista with the beard standing near coffee maker vector flat design illustration isolated on white background. 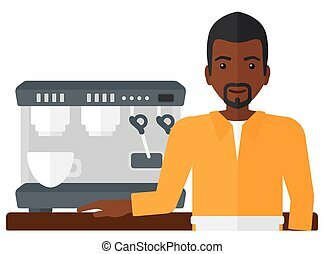 An asian barista with the beard standing near coffee maker vector flat design illustration isolated on white background. 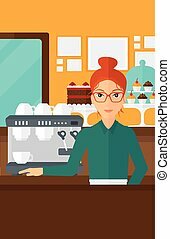 A woman standing near coffee maker on the background of bakery vector flat design illustration. Square layout. 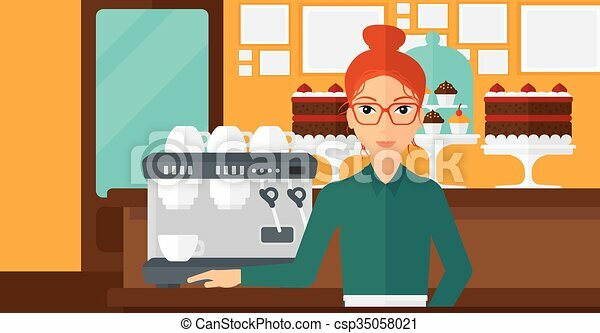 A woman standing near coffee maker on the background of bakery vector flat design illustration. Vertical layout. 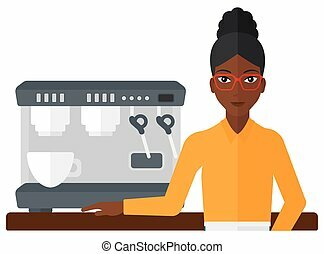 An african-american woman standing near coffee maker on the background of bakery vector flat design illustration. Vertical layout. 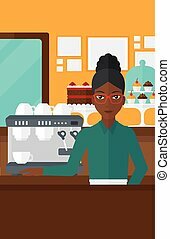 An african-american woman standing near coffee maker on the background of bakery vector flat design illustration. Square layout. An african-american man standing near coffee maker on the background of bakery vector flat design illustration. Horizontal layout. 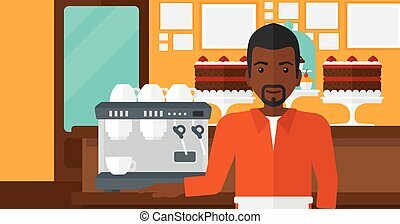 An african-american man standing near coffee maker on the background of bakery vector flat design illustration. Square layout. 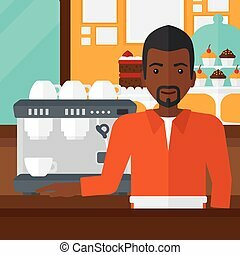 An african-american man standing near coffee maker on the background of bakery vector flat design illustration. Vertical layout. 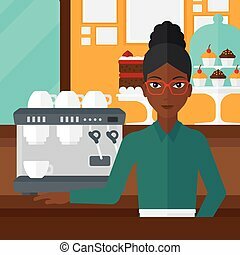 An african-american woman standing near coffee maker on the background of bakery vector flat design illustration. Horizontal layout. 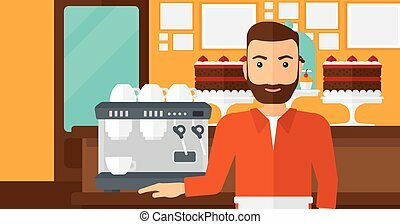 A hipster man with the beard standing near coffee maker on the background of bakery vector flat design illustration. Horizontal layout.